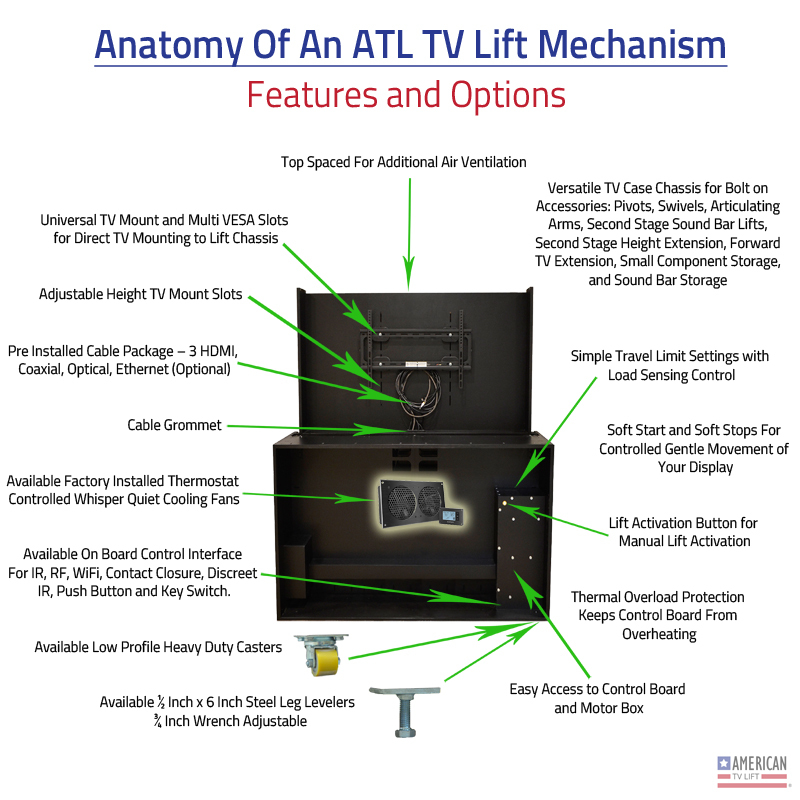 The American TV Lift® Conceal Lift Storage Mechanism offers you the opportunity to have the best concealment Lift system available. The Conceal Lift System features a fully enclosed cases unlike other concealment lift providers so no assembly required and critical components and necessary wiring is protected and professionally installed. 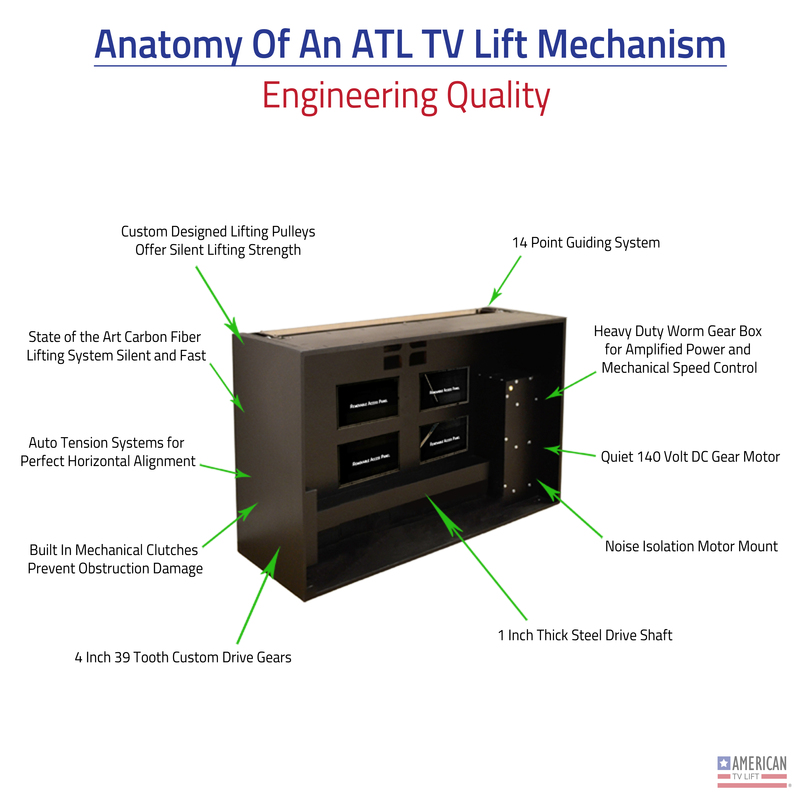 Below you can find many options our engineer team can modify your base TV Lift to meet your specific needs or wants. The Conceal Lift Storage Mechanism System is designed with storage in mind, giving you an extra work space with some additional storage at the touch of a button, both above and below. Your imagination is the limit with this cabinet, it all depend on how you want to use it. 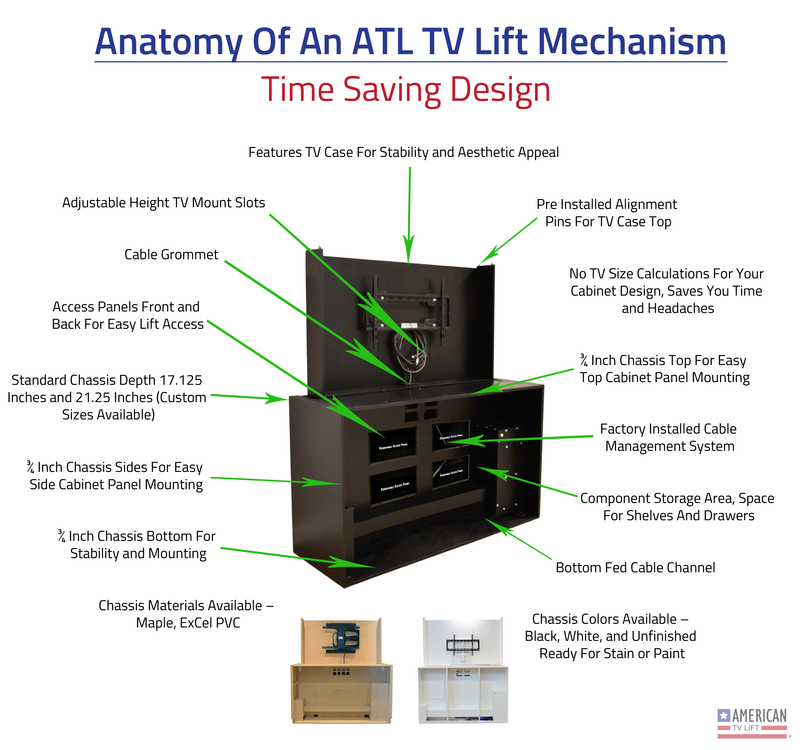 You can use it in the kitchen or an outdoor patio as a buffet table with stemware and kitchen gadgets stored away but easy to access. Another great use could be in the workshop/garage/craft room, giving you a workbench and tool chest all in one, easy access for those late night projects. The Conceal Lift Storage System is also great if your looking to display your collections while keeping them safe and secure when no one is home.